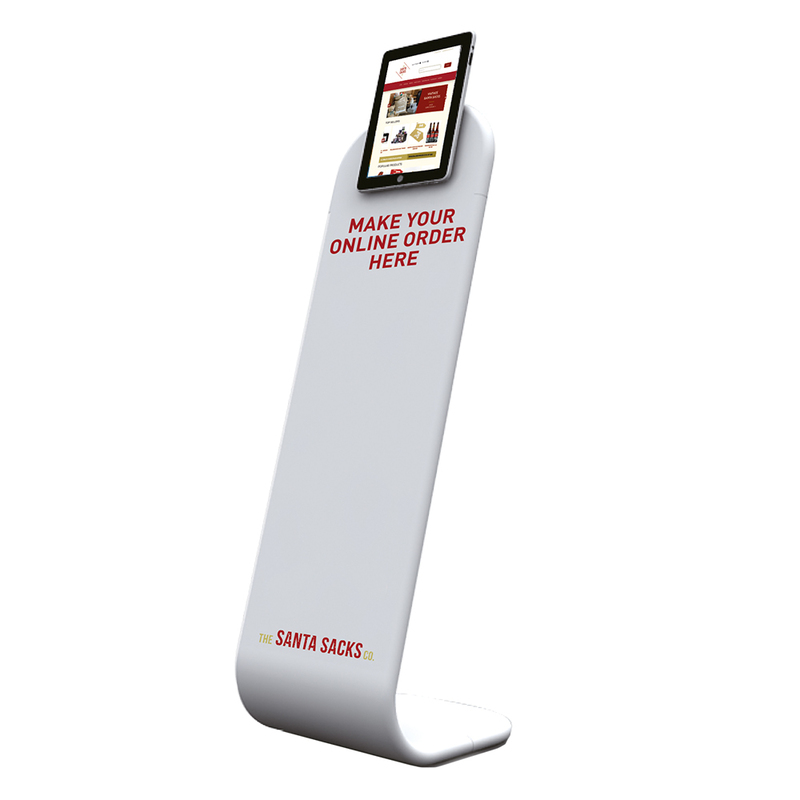 The Tablet Stands can be fully branded with your own design. The tablet mount can rotate 360° allowing your tablet to be orientated in landscape and portrait. The tablet clamp allows to fit all iPad models (except iPad 1 and iPad Pro) as well as many other tablet models (not included). Note: this product does not allow tablets to be locked securely in place, it's not recommended for unsupervised areas. What are Tablet Stands ? Do the Tablet Stands come with a matching case or bag? 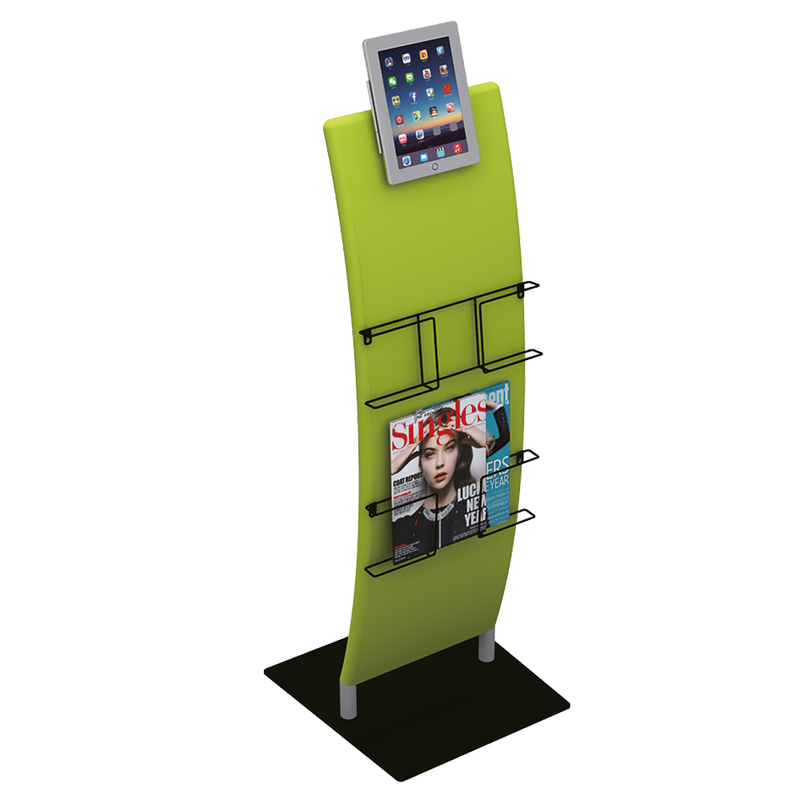 Tablet Stands are easy to set up and mostly used at business events and fairs. 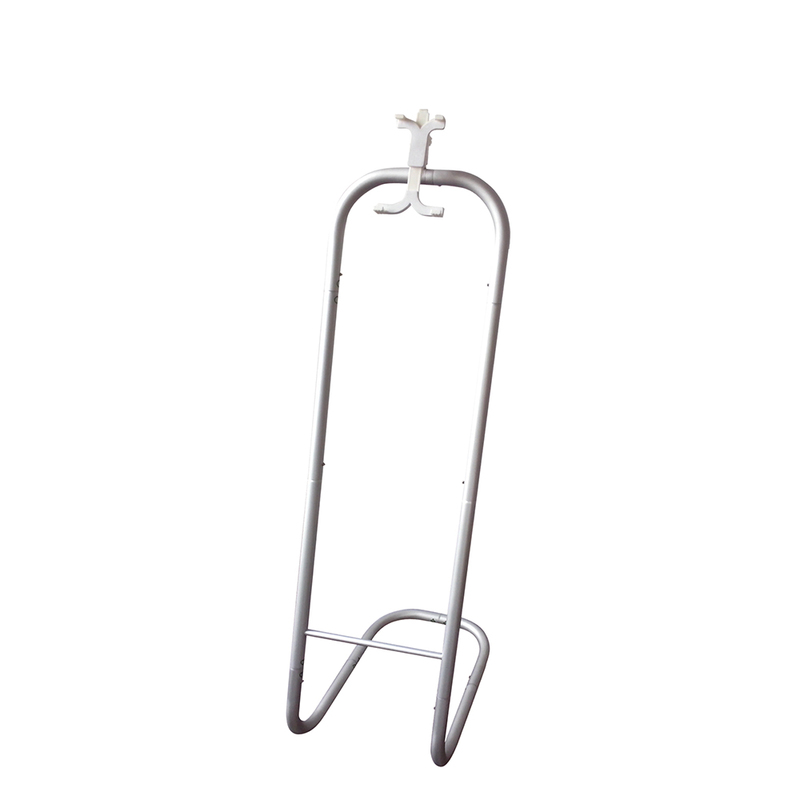 The Tablet Stands are available in various types and sizes. 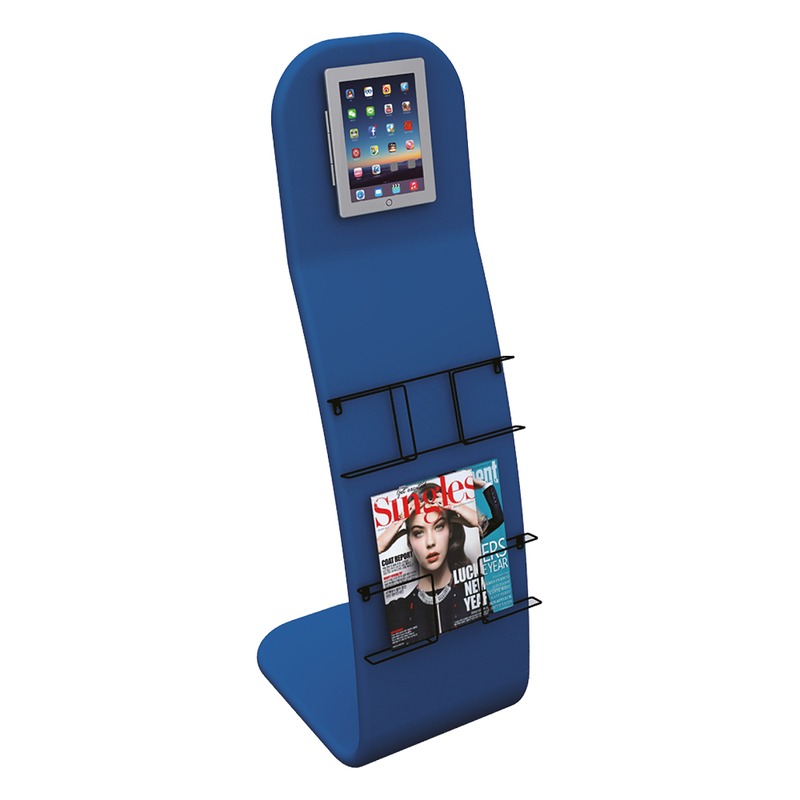 The print of Tablet Stands is made from 260gsm polyester. The Tablet Stands come with a matching canvas bag.